After visiting the Lyon Air Museum (finally) one thing that caught my eye (for reasons unknown) was the split flaps on both the B-17 and C-47 (likely others too that I missed, but that is just a reason to go back). A little googling led to Legends in Thier Own Time. 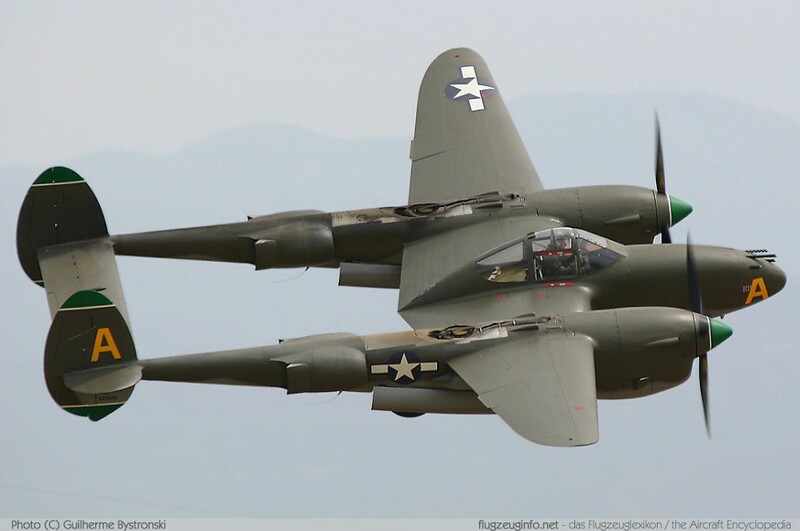 This is a terrific collection of articles, cutaways (like the P-38 above) and other resources from the time that these aircraft were in service. If you cannot find something of interest on the contents page, maybe you don't like airplanes enough. This just in from Rick the cop over at Squadron 68.. While not all may care for noting the anniversary of every aerospace milestone, today is the 45th anniversary of one that will not go unremembered here. Multiples of five years are not too frequent to recall the truly important ones. Launched on Dec. 21, 1968, Apollo 8, crewed by Commander Frank Borman, Command Module Pilot James Lovell, and Lunar Module Pilot William Anders, orbited Earth’s natural satellite for the first time. The second manned flight in the Apollo program, it was preceded less than 2 months earlier by Apollo 7 an Earth orbital mission that proved out the Command and Service Module, and marked the recovery from the loss of Grissom, White and Chafee in Apollo 1. 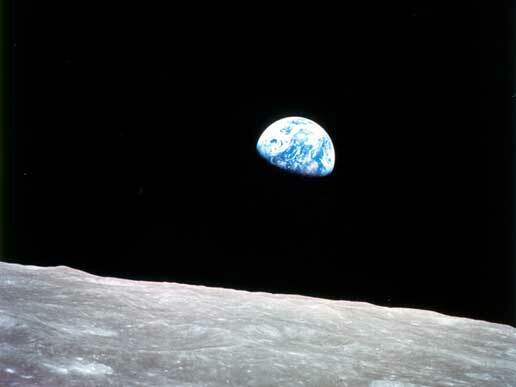 On Christmas Eve, 1968 man for the first time looked back and viewed the blue marble we all call home. Things have never been quite the same since it was first viewed this way, including the first Earth Day, a scant 5 months later. Within the following eight months Apollo 9 tested the Lunar Module in earth orbit and Apollo 10 in lunar orbit. The culmination of the charge given by President Kennedy only six years earlier to "... go to the moon. We choose to go to the moon in this decade and do the other things, not because they are easy, but because they are hard, because that goal will serve to organize and measure the best of our energies and skills, because that challenge is one that we are willing to accept, one we are unwilling to postpone, and one which we intend to win, and the others, too." It was not seen by man until the 4th orbit and was nearly missed again. The story of how it was captured is told here along with a marvelous simulation of how it came to be. (That such imagery is taken for granted by those jaded by modern video games is best appreciated by those of us who remember a cardboard cutout moved along a slot in a giant map in a TV studio or NASA's then cool, now crude conventional; B&W film animations. A bit later the Apollo 8 crew pointed the video camera out a window at Earth so we could all share. It will always be worth viewing and listening to. Merry Christmas to all, all of us on the good Earth. After waiting decades for military status and honors, several WASPs, all around 90, will ride atop their own float in the Rose Parade. For so many years, their service was largely forgotten. In the midst of World War II, with legions of male pilots overseas, the 1,102 young women comprising the Women Air-force Service Pilots flew more than 60 million miles domestically, test-flew repaired military aircraft and ferried non-flying male military officers around the country. But as the war neared its end and the men returned, their program was disbanded. Nearly 70 years later, with millions of people watching, their service will be celebrated in grand style with a float in the 125th Rose Parade on Jan. 1. WASPs from across the country have been raising money for the float and the trip to Pasadena for the reunion of a life-time. "They're all about 90 years old, but they're coming and they're saying, 'Give me a blanket and hot coffee, and we'll be fine,' " said Kate Landdeck, vice president of the nonprofit Wingtip-to-Wingtip Assn., which is sponsoring the float. The theme of this year's parade is "Dreams Come True" — fitting for Reece, who had wanted to fly since childhood. "I lived on a farm and watched the birds soar, and everything that had to do with planes I wanted to go see," she said. When Reece told her father she wanted to be a pilot, he told her gently, "That's not something women usually do, Flora Belle. But if you can figure out how, more power to you." Her teachers chided her, saying she needed to find a "practical solution" to what she wanted to be when she grew up. The WASP program gave her an opportunity. Reece, who now lives in Lancaster, was 19 when she joined a group of women at Avenger Field in Sweetwater, Texas, in November 1943 for her training. Back then, she was Flora Belle Smith — or "Smitty the Kid" to her friends, who were amused she had never left Oklahoma before the program. The women, she said, were assigned housing by last name, and it was in the barracks that she met Alyce Stevens Rohrer from Provo, Utah. Rohrer too will be atop the Rose Parade float. She was 18 when she joined the WASPs. "I could fly a plane before I could drive a car," she said, laughing. On a recent afternoon, Reece and Rohrer, whose friendship has spanned more than half a century, laughed over stories of their WASP days in Rohrer's Pasadena home, where photos of both she and her husband in uniform hang on the walls. Rohrer, 90, smiled at a photo of herself in a flight suit with wide legs and a cinched waist hitched as high as it could go. The ladies wore men's gear, she said, and it dwarfed them. A colonel at their base made them wear turbans — which she hated — because he worried their long hair would get in their eyes. Rohrer took on a high-risk assignment, testing problem planes after they were repaired to see if they were air-worthy. The planes were those used to train cadets preparing for combat. 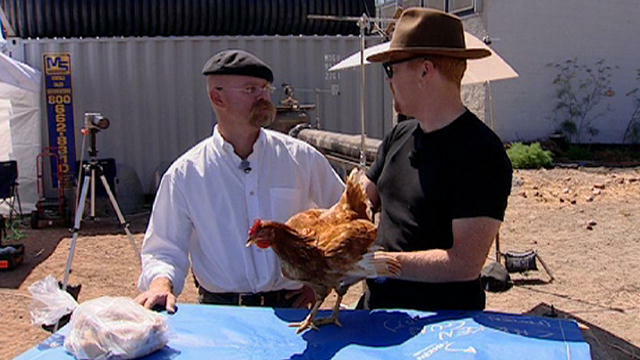 "People ask me all the time, 'Why did you do it if it was so dangerous?'" she said. "My only answer was, yes, but it wasn't anywhere near as dangerous as my brother going on the beach in Normandy.... I don't even think I thought of the danger. I just enjoyed flying." Rohrer flew AT-6 and BT-13 aircraft. Reece, who also test-flew repaired planes, flew AT-6 and B-26 aircraft, she said. She is thrilled that the Rose Parade float features a replica AT-6 plane. The WASPs were promised that they would later be classified as military, Rohrer said. But in 1944 — as more male pilots returned — a bill that would have given them militarization was voted down in Congress. The program was disbanded in December 1944 and the women left the service as civilians, just as they had begun. "It was like Rosie the Riveter getting kicked out of the factory as soon as the men came back to take the factory jobs," said Landdeck, who is a historian at Texas Woman's University and a private pilot. Rohrer said it was a "terrible disappointment to all of us to quit flying those beautiful planes" after the program's disbanding. "All the men were coming home and needed our jobs," she said. "So Congress just forgot the promise about militarrization and said, 'They're women. Send them home.'" When the women who wanted to continue careers in aviation applied for jobs, they often received letters from airlines offering them stewardess jobs, Rohrer said. She got one of those letters — and tore it up. Rohrer taught history and English at Arroyo High School in El Monte; Reece taught mathematics in Lancaster. The WASPs were given military and veteran status in 1977 and awarded the Congressional Gold Medal in 2010. Thirty-eight WASPs were killed in service. Because they were not enlisted soldiers, many were buried with no military fanfare and no flag on their caskets, and their families paid to bring their bodies home, Landdeck said. The WASPs' reaction to having a Rose Parade float has been mixed, said Landdeck, who knows many of the pilots and will be traveling to the parade. The WASPs are still fundraising, she said, to build the float and pay for the women to travel to Pasadena. "This is a very frugal generation," Landdeck said. "But they're so excited about having people know who they are. It's so much fun to realize you can have hard times and can be on a Rose Parade float when you're 90." Rohrer, who has lived in Pasadena for more than 60 years, said she's a bit nervous about riding the float in the cold weather at her age. But it will be well worth it, she said. 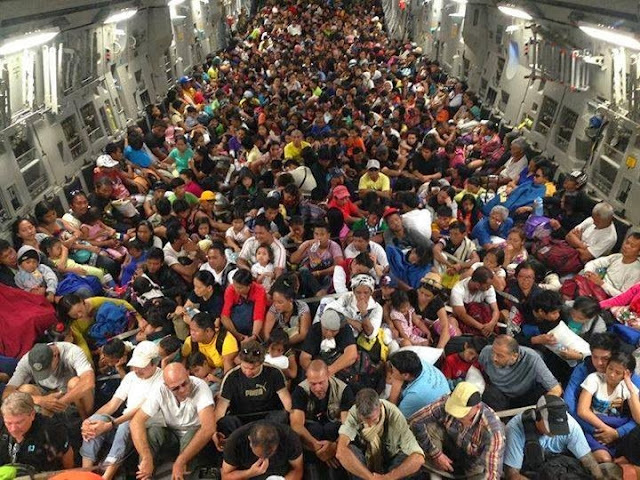 "There are still so many people," she said, "who don't know anything about us." At the risk of a PC buzzkill, one reminds that NOT ONLY was this aircraft a fave of Amelia Earhart, but also Wiley Post whose Winnie Mae is on display at teh National Air and Space Museum. The Vega is a six-passenger monoplane built by the Lockheed company starting in 1927. It became famous for its use by a number of record breaking pilots who were attracted to the rugged and very long-range design. Amelia Earhart became the first woman to fly the Atlantic single handed in one, and Wiley Post flew his around the world twice. Designed by John Knudsen Northrop and Gerard Vultee, both of whom would later form their own companies, the aircraft was originally intended to serve with Lockheed's own airline routes. They set out to build a four-seat aircraft that was not only rugged, but the fastest aircraft as well. Utilizing the latest designs in monocoque fuselages, cantilever wings and the best engine available, the Vega delivered on the promise of speed. The fuselage was monocoque, built from sheets of plywood, skinned over wooden ribs. Using a large concrete mold, a single half of the fuselage shell was laminated in sections with glue and then a rubber bladder was lowered into the mold and inflated with air to compress the lamination into shape. Two fuselage halves were then nailed and glued over a previously made rib framework. With the fuselage constructed in this fashion, the wing spar had to be kept clear, so a single spar cantilever was mounted atop the aircraft. The only part of the aircraft that wasn't particularly streamlined was the landing gear, although production versions wore sleek "spats". It was powered by the Wright Whirlwind, which delivered 225 horsepower (168 kW). The first Vega 1, named the Golden Eagle, flew from Lockheed's Los Angeles plant on July 4, 1927. It could cruise at a then-fast 120 mph (193 km/h), and had a top speed of 135 mph (217 km/h). The four-passenger (plus one pilot) load, however, was considered too small for airline use. A number of private owners placed orders for the design however, and by the end of 1928, they had produced 68 of this original design. In the 1928 National Air Races in Cleveland, Vegas won every speed award. In 1928 Vega 5 Yankee Doodle (NX4789) was used to break transcontinental speed records. On August 19-20, Hollywood stunt flier Arthur C. Goebel broke the coast-to-coast record of Russell Maughan by flying from Los Angeles, California to Garden City, New York in 18 hours and 58 minutes, in what was also the first nonstop flight from west to east. On October 25, barnstormer and former mail pilot Charles B.D. Collyer broke the nonstop east to west record set in 1923 by the U.S. Army Air Service in 24 hours and 51 minutes. Trying to break the new west-to-east record on November 3, Collyer crashed near Prescott, Arizona, resulting in his death and that of the aircraft owner, Harry J. Tucker. Looking to improve the design, Lockheed delivered the Vega 5 in 1929. Adding the Pratt & Whitney R-1340 Wasp engine of 450 hp (336 kW) improved weights enough to allow two more seats to be added. A new NACA cowling increased cruise speed to 155 mph (249 km/h) and top speed to 165 mph (266 km/h). However, even the new six-seat configuration proved to be too small, and the 5 was purchased primarily for private aviation and executive transport. A total of 64 Vega 5s were built. In 1931, the United States Army Air Corps bought two Vega 5s; one designated C-12 and one as the C-17. 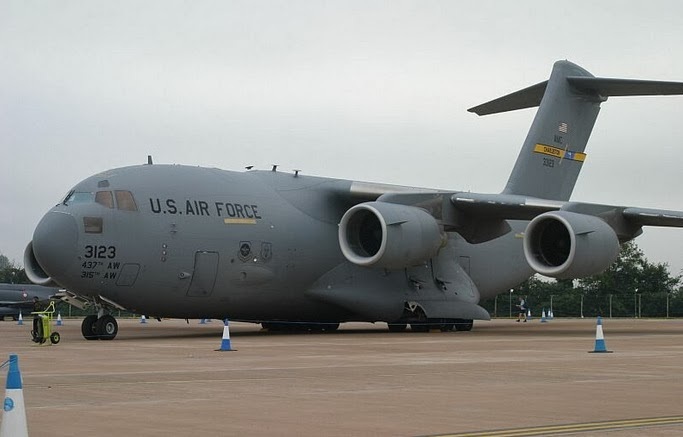 The C-17 differed by having an extra set of fuel tanks in the wings. The Vega could be difficult to land. In her memoir, Elinor Smith wrote that it had "all the glide potential of a boulder falling off a mountain." In addition, forward and side visibility from the cockpit was extremely limited; Lane Wallace, a columnist for Flying magazine, wrote that "Even [in level flight], the windscreen would offer a better view of the sky than anything else, which would make it more of a challenge to detect changes in attitude or bank angle. On takeoff or landing, there'd be almost no forward visibility whatsoever." A one-off special, based on the metal-fuselaged DL-1, was built by the Detroit Aircraft Corporation, and exported to the United Kingdom for Lt. Cmdr. Glen Kidston. It was initially registered in the UK as G-ABFE but rapidly re-registered as G-ABGK to incorporate Kidston's initials. This Vega was used by him to set a record-breaking time from the UK to South Africa in April 1931. Following Kidston's death the following month, the aircraft was eventually sold to Australian airline owner Horrie Miller for entry by him into the MacRobertson Air Race. Piloted in the race by Miller's Chief Pilot, Capt. Jimmy Woods, it overturned on landing at Aleppo en route, whereupon Woods withdrew from the race and the DL-1A was eventually shipped the remainder of the distance to Australia. Following repairs and another re-registration, to VH-UVK, the aircraft was used for charter and leisure flying by Miller, before being impressed by the Royal Australian Air Force in 1941. It was finally broken for spares by the RAAF at the end of World War II in 1945. "..and that's all the news for tonight, folks!" Lockheed Martin Flight Services announced May 9 a system upgrade that will monitor general aviation flights in real time, and activate search-and-rescue if aircraft stop moving, stop reporting position, or issue a distress signal. The company, contracted by the FAA to provide flight services including preflight briefing and flight plan filing, offers the “surveillance-enhanced search and rescue (SE-SAR) service at no cost to pilots. The system currently supports Spidertracks GPS position reporting systems (retail prices start at $995), and Lockheed plans to add support for additional devices, including Automatic Dependent Surveillance-Broadcast (ADS-B) equipment, in the near future. Lockheed’s pilot Web portal allows pilots to register flight tracking devices, and was updated in October to provide automated alerts to adverse conditions that may arise after briefing and flight plan filing are complete. Users may sign up for the adverse condition alerting service (ACAS) through the same portal, and register a variety of mobile devices to receive post-briefing alerts. The company has also released a set of interfaces that allow providers of mobile flight planning applications to provide user access to the search-and-rescue and adverse condition alerting features. CAP helps cadet get his wings..
A 21-year-old flight instructor says his successful aviation path is attributable to the mentoring and training he received through the Civil Air Patrol. CAP, the official auxiliary of the U.S. Air Force, has 61,000 members nationwide and operates a fleet of 550 aircraft that it uses for inland search-and-rescue missions. More than 26,000 young people participate in CAP cadet programs that introduce aviation through a 16-step program that includes aerospace education, leadership training, physical fitness, and moral leadership. As a CAP cadet, Bloemsma learned to fly airplanes and gliders and soloed at age 16. He attended Embry-Riddle Aeronautical University, and now flight instructs at Western North Carolina Aviation and as a mission pilot, cadet orientation pilot, and instructor at the Asheville Composite Squadron’s annual flight academy. “Going through the squadron’s first flight academy as a cadet and then being able to come back a few years later and teach it was quite the rewarding experience,” he said. Bloemsma's career plans include flying for the airlines or a corporation once he has accumulated enough flight hours. “CAP gave me an opportunity to fly at a young age and sparked that interest in aviation that led me to continue on in my training, and I am very grateful for that,” Bloemsma said.